The Villanova University ALumni Magazine did a feature story on Tom Costello Jr and The Joy of Sox in their 2011 Spring Service edition. This is really humbling. 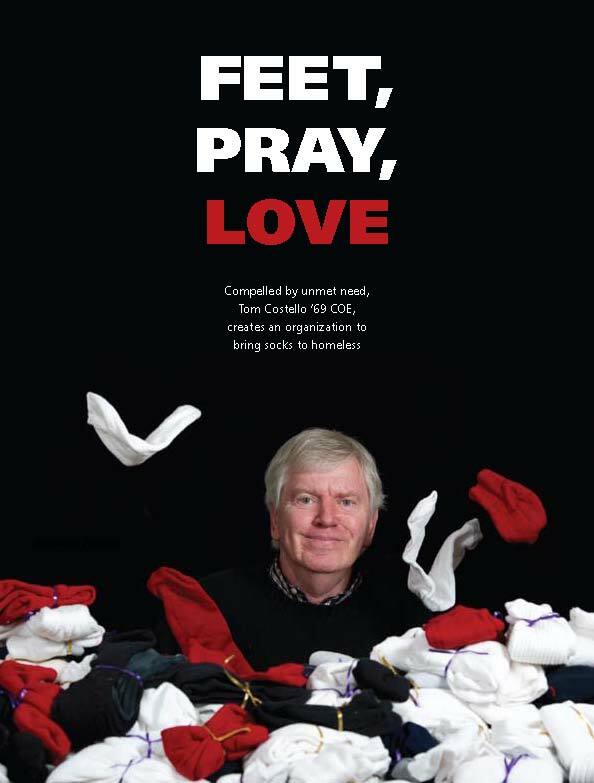 My undergraduate alma mater, Villanova University included my nonprofit, The Joy of Sox, in their Spring 2011 issue on service. What started out as an attempt to help out at a soup kitchen in Philly has really taken off. And I’d like to thanks Father Peter for the introduction, and Mercedes Ott and Shawn Proctor for producing and writing the piece. I can’t wait to see what the next six months brings, as we continue to raise awareness of the plight of the homeless, and the health problems that can be mitigated by something a simple as a pair of socks. A big Thank You from me, and an especially big thank you from all those who benefited from new socks! !